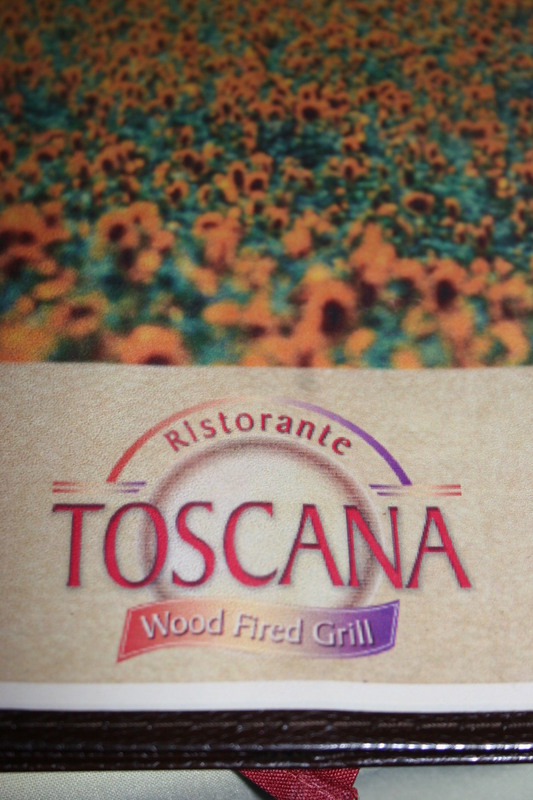 We had eaten in this shopping center a few times but had never been to Ristorante Toscana. 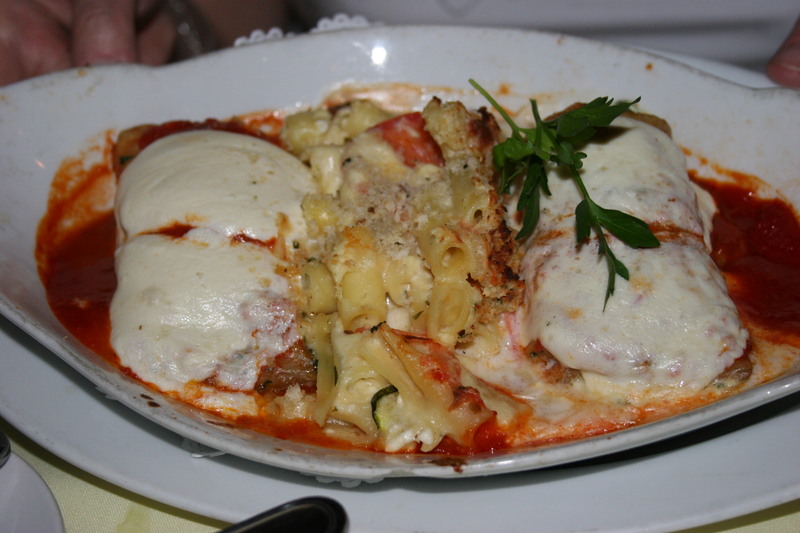 We were under the impression that it was another location of Toscana Restaurant in Mullica Hill which we have been to a few times. It turns out they are only vaguely related….like third cousins, maybe. 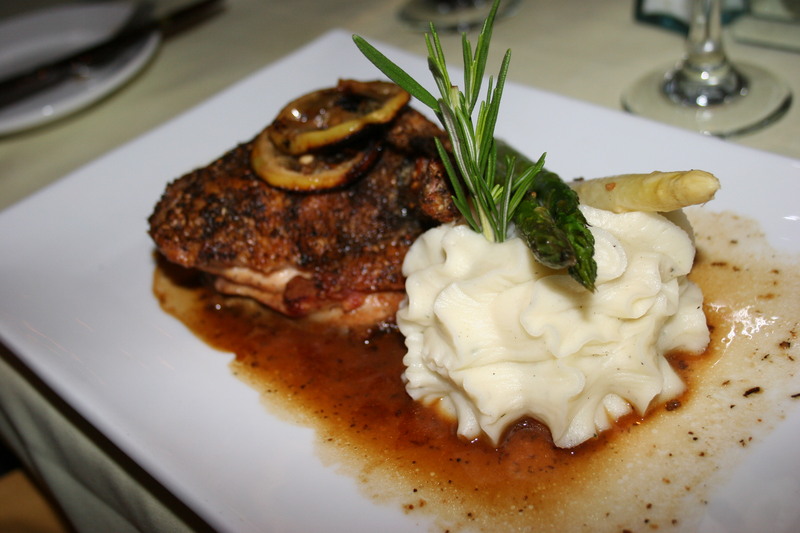 Like its southern cousin, they have an extensive menu with an emphasis on items from a wood-burning stove. 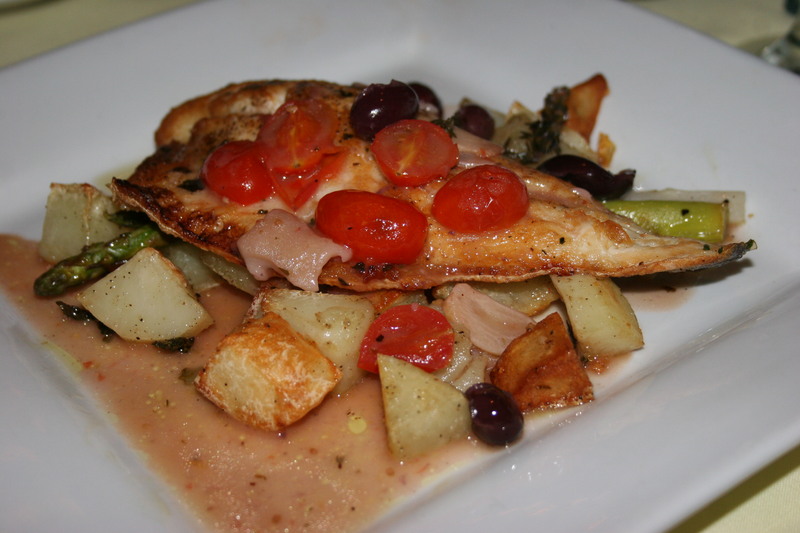 My wife Kathy and I were glad to see one of our favorite salads which we enjoyed in Mullica Hill, The Wedge. I do have to agree with her that any meal that begins with this particular salad can’t be all bad. 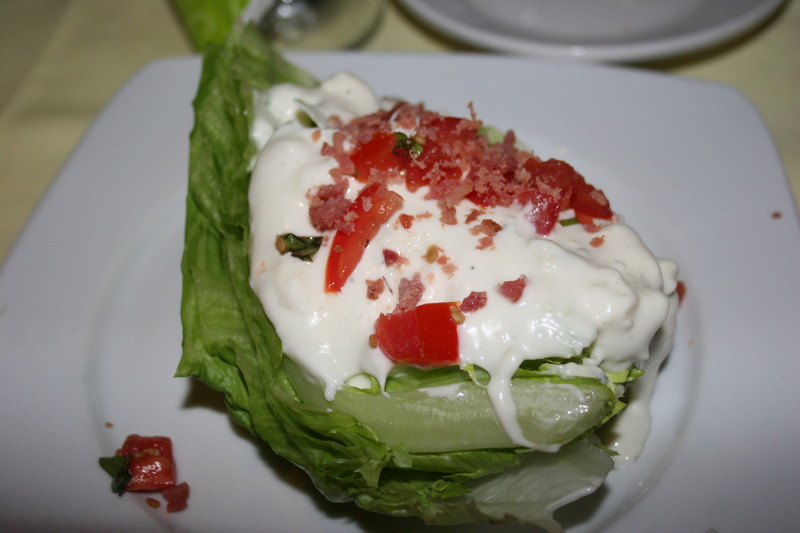 Crisp lettuce, ripe tomatoes, fresh bacon and an ample serving of blue cheese dressing make this a winner in my book. 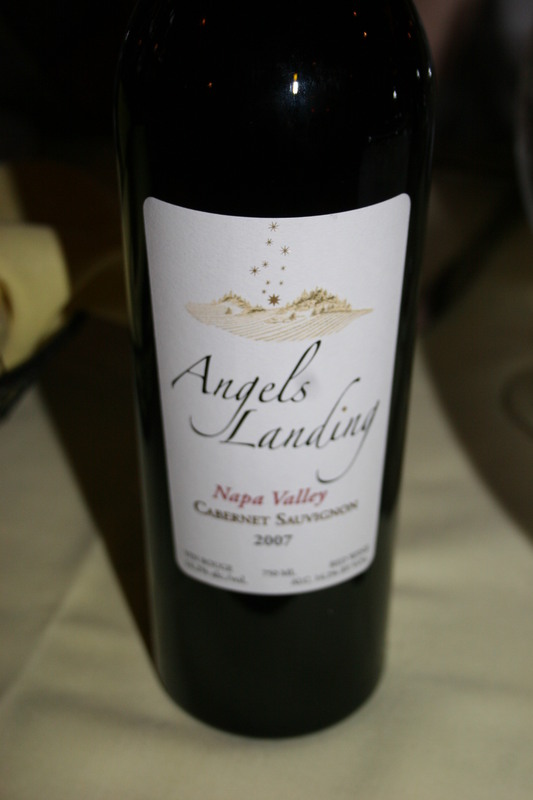 Additionally, we had brought along a bottle of one of my wife’s favorite wines, the 2007 Angel’s Landing, Napa Valley, Cabernet Sauvignon. I think if we had just left her alone with her wine and her salad she would have been totally satisfied. 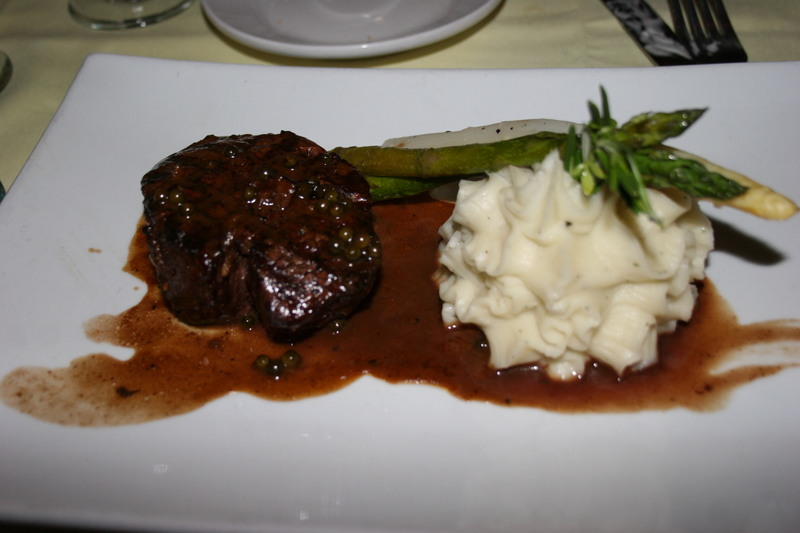 Once again, because of the time that has gone by I do not remember what we all had to eat so I will simply enclose some of the pictures of our dishes. Everything was pretty good. We had no complaints. I think if you put a gun to my head I prefer the distant cousin in Mullica Hill.